Fall River, Wisconsin, is the location of this fast eastbound CP train. 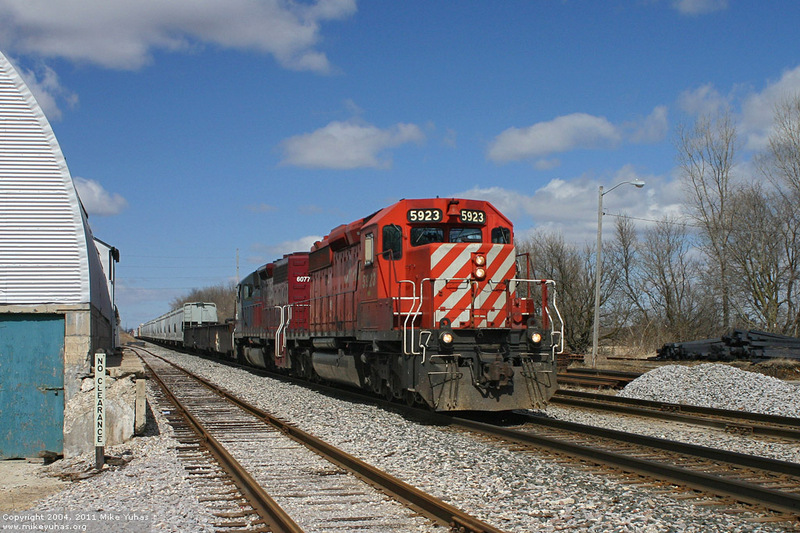 A CP SD40-2 and a lease unit haul 68 cars. The weather was certainly gorgeous on this first full day of Spring!